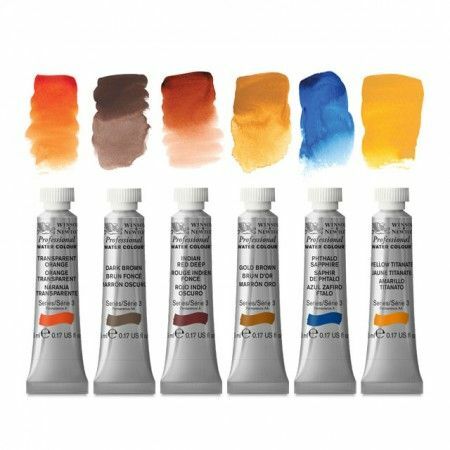 Winsor & Newton have created an unparalleled water colour range which offers artists the widest and most balanced choice of pigments with the greatest possible permanence. Artists Water Colours exhibit unrivalled transparency due to the unique pigment dispersion in the manufacture of the colour. 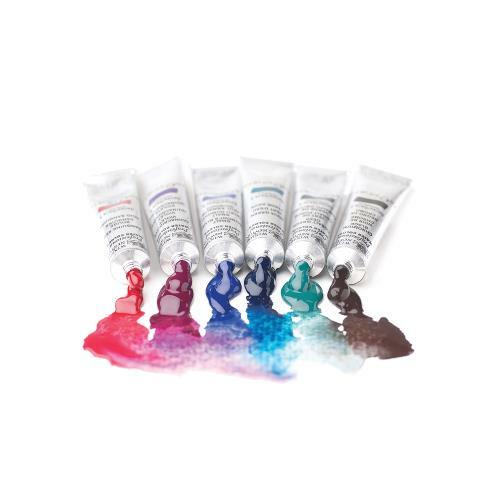 With 96 colours, our Professional watercolour range offers bright, vibrant colours and unrivalled performance. 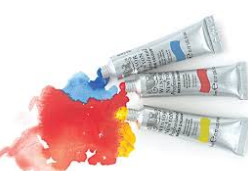 Water colour more than any other medium relies upon the variable characteristics of the pigments used. 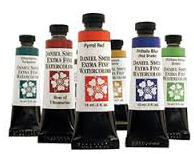 Our Professional Water Colours use only the purest pigments, and are known for their brilliance, permanence and strength of colour. 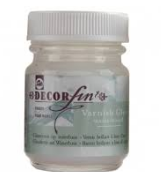 If you intend using a lot of water in your water colour painting, then it is important to stretch your paper before starting to avoid cockling – this is where the sheet wrinkles and forms ridges that are almost impossible to remove when substantial amounts of water are used. 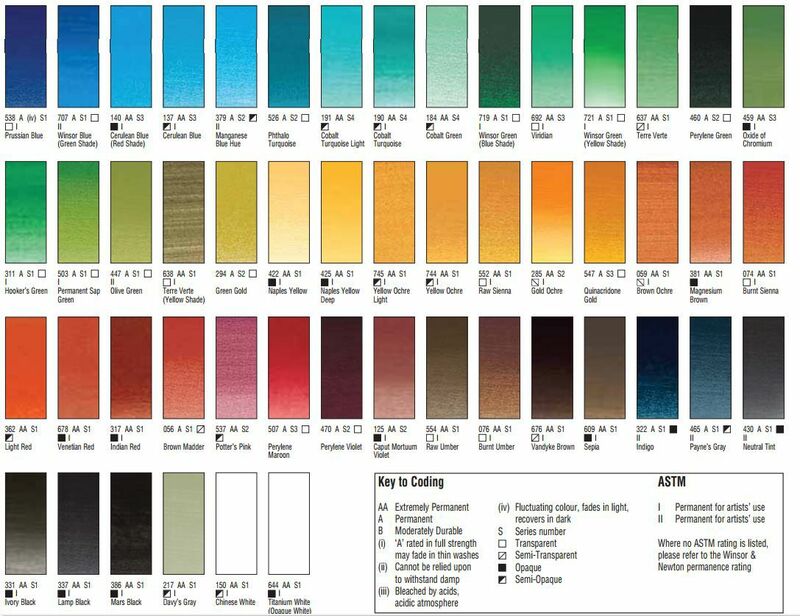 If you are working on heavyweight paper and do not intend using large washes or you are using gouache or acrylic then you do not have to stretch the paper, however the benefit of stretching your paper is the freedom to use as much water as you want, when you want. 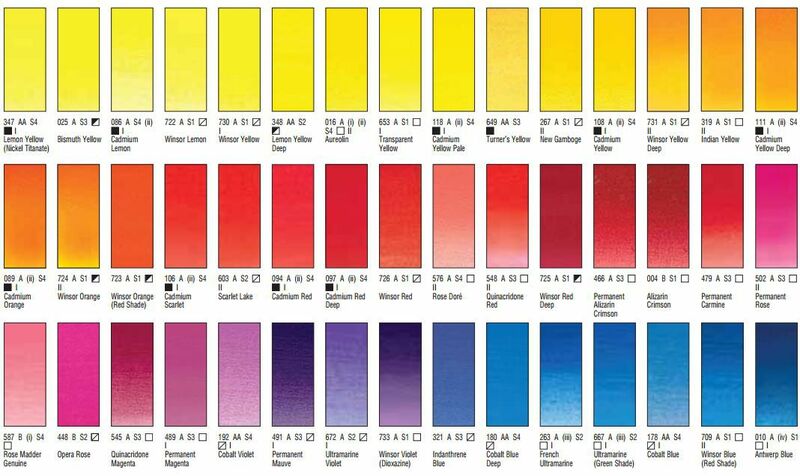 If colour has solidified in your water colour tube, it is not possible to return it to its liquid form however, it can be used as a type of pan colour. 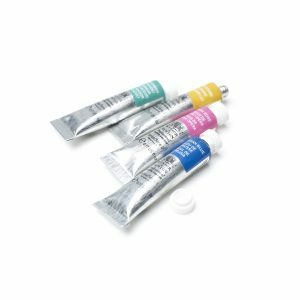 It will not perform as well as our Artists’ Water Colour that has been formulated specifically for pan application, however by adding a little Winsor & Newton Gum Arabic medium to water and then using the dried tubes as pans, it means that they can continue to be used.